We all have serious roles and responsibilities in our lives, for which we are educated, trained, and prepared over a substantial period of time. In pursuit of our professional/career endeavors for example, most of us engage in formal education for many years, frequently followed by some form of apprenticeship in which we are supervised/mentored by more experienced colleagues as well. Often, the education never stops. Psychologists, and other professionals, for example, are required to enroll in continuing education courses throughout their careers to maintain their licenses and keep their knowledge more current. Some years ago a good friend volunteered his time to referee soccer games in a local AYSO division. His own son had grown beyond the age of playing and he wanted to continue some participation, since he had enjoyed it for many years. This laudable commitment required him to complete a training seminar over a few weekends and then to be supervised by a more experienced referee for several weeks before he could take on the role independently. Every year before the season started, a refresher workshop was required as well. Even this more casual role (though hardly casual to the children playing and their parents at times) included some formal training. While it is obvious how critical these roles are to our own well-being and the well-being of our children, it is startling that most of us enter into these commitments with limited, if any, real preparation. Our success, satisfaction, and effectiveness in these two roles are left to chance and experimentation. Most of us do our best, based on what we have learned from our own parents and family history. We often try to unlearn/do differently from what did not work for us in our families. But far too often, our best is simply not as good we would like, or as good as what is truly needed. Bob, for example, grew up in a traditional family in the 1970’s. His father was a good provider, focused on work, career, and meeting his family’s economic needs; his mother was a full-time housewife, working hard to meet the children’s needs, manage their home, and develop a community for her husband, herself, and her children. While Bob’s father managed to make time for nightly dinners and some weekend involvement with the children – attending little league games, helping out with some of their activities, attending religious services with some regularity as a family, family outings a few times a month – his emotional availability was limited. Most of his energy was directed towards his work. Most of the ongoing care and nurturing was supplied by Bob’s mother. Discipline, usually administered by Mom, also had the traditional warning for more serious infractions: “Wait till your Father gets home.”, which usually translated into severe lectures, angry words, and occasional spankings when he was young. The result was that Bob was somewhat lost and unsure as a father himself. While he wanted to be more involved with his own children on a more daily basis, which included a desire to simply have more fun with them, he had little notion of how to go about it. His own experiences growing up left him unprepared. Bob’s wife, who grew up in a similar family was also unsure: how to discipline the children more effectively, how to include her husband more in family relationships, how to encourage the children to seek out their father more often when they needed some attention. – developing more affection, warmth, playfulness, humor, and sharing to enhance the pleasure in family interactions. “Living with Children: New Methods for Parents and Teachers”, by Gerald Roy Patterson. Sometimes, these more general programs, as helpful as they are, are not sufficient. A family may have one (or more) child with special needs: learning difficulties, ADHD, social-emotional challenges. An in-depth, more individualized understanding of this child and his/her needs becomes necessary in order to help the child, improve the family’s relationships, and strengthen the parents’ abilities to be effective. 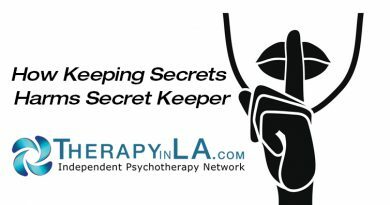 Please see other articles archived at www.therapyinla.com about Assessment, ADHD, and Learning Disabilities, by Dr. Solomon and other members of IPN. Or, a family may be faced with its own, more unique challenges that a more general program may not be able to adequately respond to: divorce, serious illness, alcohol or drug abuse, family violence, death or loss, disruption due to relocation, for example. Again, an in-depth, more individualized understanding of the family and its needs may be needed, so that a more customized, tailored application of general principles can be developed to help the family. Rather than parent education, or in addition to parent education, parent counseling may be the most beneficial effort to make. A limited number of sessions with both parents attending, ranging from a few weeks to a few months, are scheduled. The therapist helps the parents to assess what are the needs/challenges of their children and family, as well as what are the relative strengths and weaknesses that each parent brings to the family equation. A few specific goals are mutually established. With the therapist’s guidance, and in the context of real situations that occur in the family’s life, the parents work on developing the skills needed from the list above: communication, structure, discipline, positive reinforcement, and warmth/affection. Each parent has the opportunity to develop their own individual skills and to strengthen the cooperation, consistency, and support between them that is crucial for more effective parenting. The therapist often makes specific suggestions, sets up exercises and homework assignments to practice these new skills, and uses the time in session to model how these skills can be developed and applied. As the agreed-upon number of sessions comes to an end, the therapist guides a discussion for the parents to evaluate their progress. Depending on progress achieved, the sessions may be brought to a close, with clear guidance for the parents about efforts that will be needed to maintain these gains and enhance them further. Or, another limited block of sessions may be scheduled to continue the work if progress has been stymied somewhat by unanticipated complications, and/or if new goals have come into focus. No matter what the scenario, the possibility of some future work is kept open to respond to the changing, dynamic nature of children’s development and a family’s life together. Through such an effort in parent education or parent counseling, parents develop new skills, a deeper understanding of their children and their own roles as parents, and begin to improve on their family’s relationships. This is indeed one of the most important roles we play as adults, not only for the benefit of our children but as a source of pleasure, meaning, and satisfaction in our own lives. Dr. Alan M. Solomon is a Clinical Psychologist in practice in Torrance. He is a member of the Independent Psychotherapy Network. Dr. Solomon can be reached at (310) 539-2772, or dralanms@gmail.com.